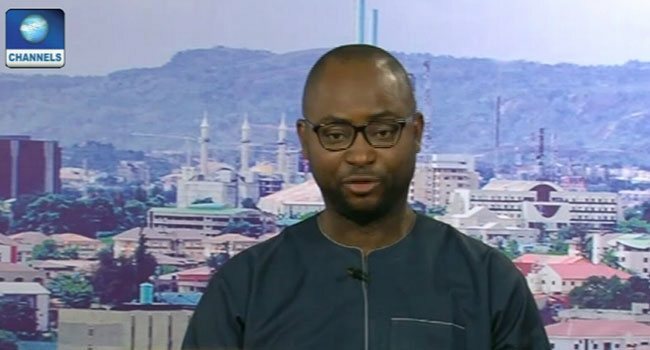 In this exclusive interview on Channels Television’s weekend breakfast show, Sunrise, the Anambra State Resident Electoral Commissioner, Mr Nkwachukwu Orji, speaks on the preparation of the Independent National Electoral Commission (INEC) for the November 18 governorship election in the state. Can you tell us what arrangements you have made so far regarding the election which is taking place in about two weeks? Our arrangements have been wide-ranging. At the moment today (Saturday), ongoing is the training of the Supervisory Presiding Officers. It is just part of one of those set of trainings we have been conducting since the last two weeks. We have conducted trainings for electoral officers and assistant electoral officers, we have conducted training for the security agents that will be part of the elections. This we did in two phases – one at the state level and then the other at the level of the senatorial zones. Since yesterday, we commenced the training for the Supervisory Presiding Officers and this will be followed subsequently by the rest of the training. After the training, we are going to recruit, post and deploy this. You just mentioned that we have over 23,000 ad-hoc staff that we have mobilised for this exercise but beyond training, recruitment, posting and deployment of staff, we have also been working on the voter register. Exactly on October 18, we published the Voters’ Register for Anambra State and we have gone ahead to print the manual copies which will be in all the polling units on the 18th of this month. We are also fine-tuning arrangements for transportation arrangements to get all that we needed to do in place. We have tested our smart card readers to ensure that they are in top condition for that exercise. So generally, I think that we are on top of our preparations and we have not had any hitches so far. Where do the youth corp members fit in? We have mobilised members of the National Youth Service Corps (NYSC) as presiding officers and assistant presiding officers; those are actually the ones that would commence their training beginning from Monday. So, we are making up that number because we are not able to mobilise all the number of members of the NYSC that we require. So in order to make up that number, we have looked towards the federal tertiary institutions in line with the INEC protocol. That is what we normally do, so we have used these as presiding officers and assistant presiding officers. The Voters register has closed, am I correct? So about how many voters are you expecting to actually take part in this election? We have in the register like I said we published the register on the 18th of October and we have in that register about two million people, that is over 200,000 people more than the number we had in the 2015 election. In 2015, it was about 1.9 million people. So we expect that these people will come out and vote. So, these are the people that we are making arrangements for. Because of this increase in the voter register, we have created additional 199 voting points to make sure that all who are registered would have available facility where they will cast their votes. If you have more than 200,000 more voters coming for that election, what improvements have you made? There has been an effort within the commission to carry out what they call enhancement but this is not in the enhancement of the card readers. But unfortunately, that process will not be applied to the Anambra election because it has not been seen through yet. So we are basically going to rely on the same technology that we used for the 2015 election to run the Anambra election come November 18. When you say you are going to rely on the same technology, does that mean you are not going to use the card readers for this election in terms of verifications and voting? Definitely, that was exactly the purpose it was deployed in 2015 and we are going to make use of card readers for voter accreditation, that is basically what it serves. So, when you appear in the polling unit, you present your PVC, that is the Permanent Voter Card, we verify the card and then authenticate as a voter by screening your fingerprint. That is what we are using the card readers for. Part of the question I asked earlier has to do with the number of card readers, so how many card readers are you deploying? Exactly, we have a sufficient number of card readers this time. We have made provisions, we have exactly 6,200 card readers provided for this election. It is 1,000 more than what we had in the 2015 elections. Are you certain that these card readers are going to work as they should? Yeah, this time what we have done is to avoid that situation. We have ensured that we tested all the card readers. By testing, what do I mean? We brought out the card readers, we put the batteries in them, power them on and make sure they run very well and then test them with a PVC to ensure that they are efficient. We have done that for all of the 6,200 card readers we intend to deploy for the election. So bearing any other unforeseen technical challenges, I am so sure that the card readers will be efficient this time. So let us say as at 2015 you had over 100,000 polling units in Anambra, how many polling units do you have in Anambra State that you want to use 6,200 card readers for? We have 4,608 polling units in Anambra. You know that a polling unit holds up to 500 registered voters. Where there are more than 500, we have created what we call ‘voting point’ and as at today, we have up to 733 voting points in Anambra. So if you put the numbers together, we have 5,339 voting points, that is including the polling units and the voting points we have created. So voting points are the actual places where people come and cast their votes. So by this calculation, you are going to be deploying at least one card reader per voting point. What if it fails, are you going to go manual? We have replacements. Like I just mentioned, we have 5,339 voting points, but we have over 6,200 card readers. So we have an already reserved redundancy to cater, we don’t expect that we will lose more than 1,000 card readers. But do you have up to 1,000 redundant card readers in case you have 1,000 failures or you don’t think that can’t happen? That is what I have just mentioned to you. We require 5,339; we have 6200 card readers ready to be deployed. So you have less than 1,000 redundant card readers, what if you have 1,000 cared readers failing at once? We cannot have that kind of massive failure, we don’t anticipate that. Okay Mr Orji, peradventure you do, what is the plan? First is to reassure you that based on the due diligence we have taken, we don’t anticipate having 1,000 card readers fail but assuming we have failures in that manner, then it is already a crisis situation and then we have to suspend the elections in those areas that they fail. But suppose these failures occur in remote areas? We have taken additional measures, we have also prepared 300 additional batteries aside the about 6,200. For batteries issues like that, we have made provisions for 300 additional batteries that are redundancy in case there are battery failures. So in all, if you add batteries we have made provisions, up to 1,500 failures but, of course, we don’t anticipate that there will be this kind of massive shock. And in cases where card readers fail in remote areas? These areas are usually contained within local government areas. So we have polling units, we have rag centres, we have wards, we have local governments before we have states; so we have also earmarked additional redundancies that will be deployed to each local government so that there can be quickly a replacement and mind you, the good thing about Anambra State is that you don’t usually have several remote areas that are difficult to reach. Anambra is a place that you can reach far ends of the state within a period of one hour, at most 1hr 30 mins. So we have taken advantage of this opportunity that we have to ensure that we have a rapid response. So we will be having rapid response teams in the local governments and rapid response teams in the state and INEC has created a layer of staff known as the Field Technical Officer. These are technicians and experts who have been prepared at the ward level. We have 326 wards in Anambra state and we have deployed each of these in each of the wards to be able to respond to emergencies, technical challenges that might arise as the elections progress. What is the response time you have planned should there be a failure in any part of Anambra state? I just mentioned it, we have already timed ourselves and we are confident that in 1hr 30mins, we will be able to respond to any kind of emergency in any part of the state. And this will include the riverine areas as well? Of course, we have standby boats arrangements we have made for the riverine areas. In the riverine areas, it might be additional time, but we have decided for standby boats for the few technical staff as well as other supervisory staff that will be part of the election. In closing, will you please advise the people of Anambra what you would like them to do on the election day to make sure that everything is hitch-free? Our commitment is to ensure that the people of Anambra would have an enhanced voter experience. Anambra people have not really enjoyed voting if you know the history of the state. So we have made a commitment that this time, we would do all within our means to ensure that voting experience is enhanced such that when you call out people again, you know 2019 is just around the corner, they will be happy to come and vote.